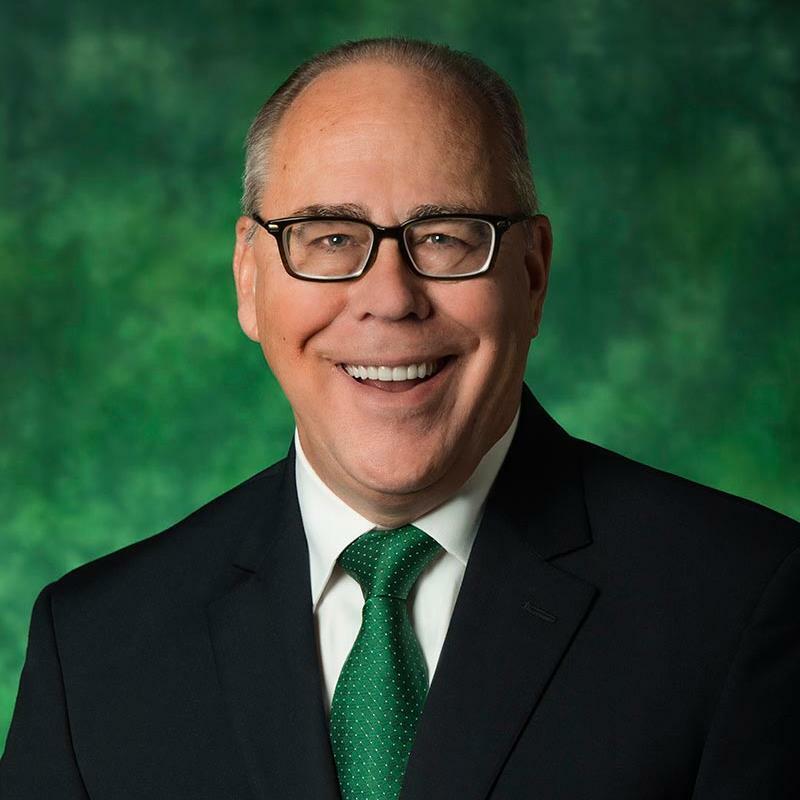 President Neal J. Smatresk became UNT’s 16th president in February 2014, marking his second university presidency. He is a dynamic, engaging leader with nearly 35 years of experience in higher education. Before joining UNT, President Smatresk led the University of Nevada, Las Vegas as president for more than four years and provost for two years. Prior to UNLV, he served as vice chancellor for academic affairs and deputy to the chancellor at the University of Hawaii at Manoa for three years. President Smatresk started his academic career at the University of Texas at Arlington and spent 22 years there, serving as the dean of science, biology chair and a biology professor. He earned a bachelor’s degree in biology from Gettysburg College, a master’s degree in biology from State University of New York at Buffalo and a Ph.D. in zoology from the University of Texas at Austin. 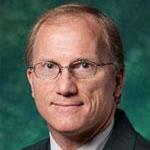 President Smatresk leads UNT at a time of strong momentum. UNT is ranked among the nation’s 115 top-tier research universities, according to the Carnegie Classification of Institutions of Higher Education™. 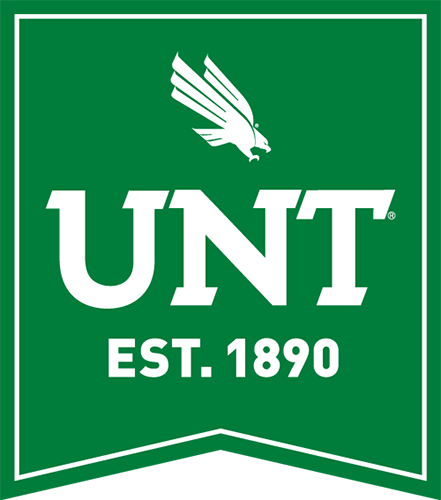 Home to nearly 38,000 students and more than 220 degree programs, UNT is one of the nation’s largest public research universities and generates an economic impact of $1.65 billion in Dallas-Fort Worth annually. UNT has 62 academic programs ranked among the nation’s Top 100, including 17 rankings in U.S. News & Report’s Top 100. The university also is one of the state’s Top 5 universities for the number of degrees awarded annually, with more than 8,500 degrees awarded in 2015-16. As a university with a global reach, UNT serves 2,500 international students representing 130 countries. UNT’s global alumni network has 393,000 members. Ronghuai Huang is a Professor in Faculty of Education of Beijing Normal University (BNU). He has being engaged in the research on smart learning environment, educational technology as well as knowledge engineering. He received ‘Chang Jiang Scholar’ award in 2016, which is the highest academic award presented to an individual in higher education by the Ministry of Education of China. 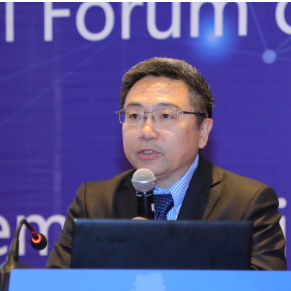 He serves as Co-Dean of Smart Learning Institute, Director of UNESCO International Rural Educational and Training Centre, and Director of China National Engineering Lab for Cyberlearning Intelligent Technology. He is very active in academic organizations both at home and abroad. He is also Committeeman of the Science Subject Expert Committee of the National Textbook Committee, Vice-chairman of China Education Technology Association, Deputy Director of Teaching Guidance Committee of Educational Technology at Institutions of Higher Education (MOE), and Expert of MOE AI Innovation Panel. During 2013 to 2018, he serves as General Chair for International Conference on Advanced Learning Technology (ICALT). He is also the President of International Association of Smart Learning Environments (IASLE), and Editor-in-Chief of Springer’s Journal of Smart Learning Environment and Journal of Computers in Education. Till now, he has accomplished and is working on over 100 projects, and his ideas have been widely spread, with about 400 academic papers and over 40 books published at home and aboard. 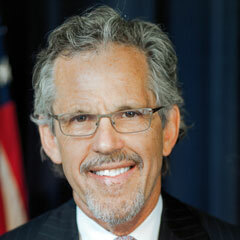 Paul Reville is the Francis Keppel Professor of Practice of Educational Policy and Administration at the Harvard Graduate School of Education (HGSE). He is the founding director of HGSE's Education Redesign Lab. In 2013, he completed nearly five years of service as the Secretary of Education for the Commonwealth of Massachusetts. As Governor Patrick's top education adviser, Reville established a new Executive Office of Education and had oversight of higher education, K-12, and early education in the nation's leading student achievement state. He served in the Governor's Cabinet and played a leading education reform role on matters ranging from the Achievement Gap Act of 2010 and Common Core State Standards to the Commonwealth's highly successful Race to the Top proposal. Prior to joining the Patrick Administration, Reville chaired the Massachusetts State Board of Education, founded the Rennie Center for Education Research and Policy, co-founded the Massachusetts Business Alliance for Education (MBAE), chaired the Massachusetts Reform Review Commission, chaired the Massachusetts Commission on Time and Learning, and served as executive director of the Pew Forum on Standards-Based Reform, a national think tank which convened the U.S.'s leading researchers, practitioners, and policymakers to set the national standards agenda. Reville played a central role in MBAE's development of and advocacy for Massachusetts historic Education Reform Act of 1993. 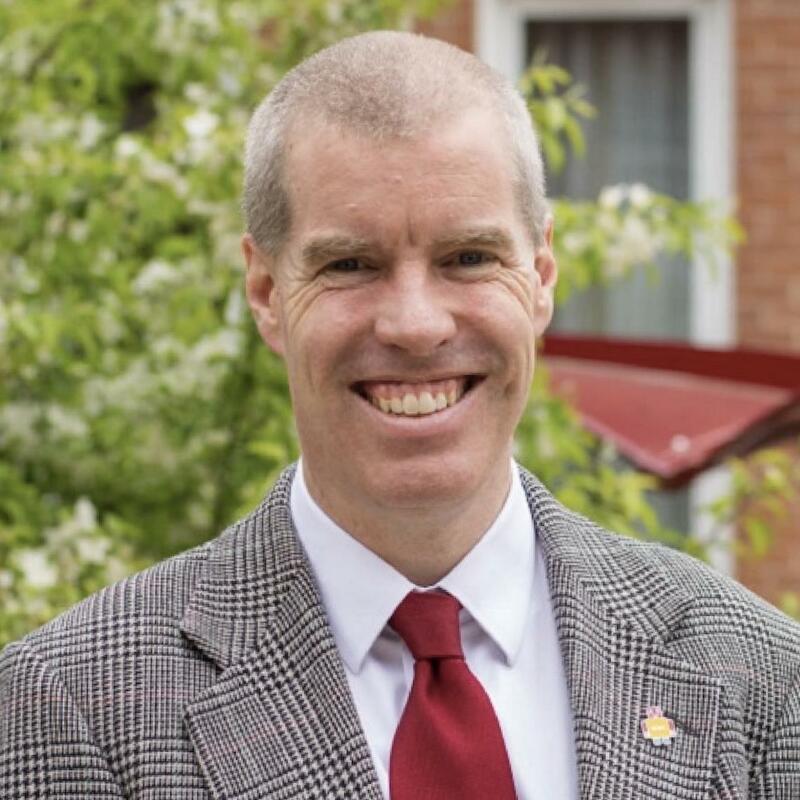 Reville has been a member of the HGSE faculty since 1997 and has served as director of the Education Policy and Management Program.Reville's career, which combines research, policy, and practice, began with service as a VISTA volunteer/youth worker. He served as a teacher and principal of two urban, alternative high schools. Some years later, he founded a local education foundation which was part of the Public Education Network. He is a board member and adviser to a host of organizations, including BELL, Match Education, Bellwether, City Year Boston, Harvard Medical School's MEDscience and others. He is a frequent writer and speaker on education reform and policy issues. He is also the educator commentator, Boston Public Radio, WGBH.He holds a B.A. from Colorado College, an M.A. from Stanford University and five honorary doctorate degrees. Phillip Harris is executive director of the Association for Educational Communications and Technology. He previously was Director of the Center for Professional Development at Phi Delta Kappa International, the association for professional educators, and was a member of the faculty of Indiana University for twenty-two years, serving in both the Department of Psychology and the School of Education. Harris is working actively to preserve the public education system in the United States and is currently working on developing alternative strategies to counter the high-stakes testing movement. His most recent book, co-authored with Bruce M. Smith and Joan Harris, is The Myths of Standardized Tests: Why They Don’t Tell You What You Think They Do, published by Rowman & Littlefield. 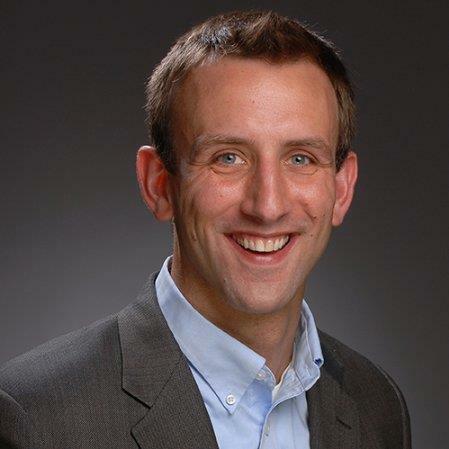 Dr. Straub is responsible for leading the design and implementation of virtual reality immersive learning among Mursion’s 80+ partners in higher education. Dr. Straub provides guidance and consultation to faculty, researchers, and educators about how to best leverage virtual reality simulation to elevate communication skills for high-stakes professions. Previously, she was e Research Director for TeachLivE, a UCF project that originally developed and tested the core technology utilized by Mursion. In that capacity, she planned, directed, and coordinated activities for a $1.5M national research project funded by the Bill & Melinda Gates Foundation to discover whether training in the virtual classroom could produce measurable changes in teacher practices and outperform more traditional professional development methods. Pål I. Davidsen is Professor of System Dynamics (SD) at UiB, Norway (https://www.uib.no/en/rg/dynamics). He has served with Professor Jay W. Forrester (MIT) as Associate Chair of the Pre-College Education Project. At UiB, he founded the System Dynamics Group and the Educational Information Science and Technology Programme and is co-founder of the European Masters Programme in SD. He served as President and as VP of Publications in the System Dynamics Society (SDS) and received the SDS Outstanding Service Award. Davidsen has published e.g. on natural resource management, public health, analysis of complex, dynamic systems, and model-based interactive learning environments. Beth Ritter-Guth is the Associate Dean of Online Learning and Educational Technology at Northampton Community College in Bethlehem, PA. Prior to this role, she was the Director of Instructional Design and Innovation Center at Union County College in Cranford, NJ. She was tenured in English in Pennsylvania before becoming an administrator. 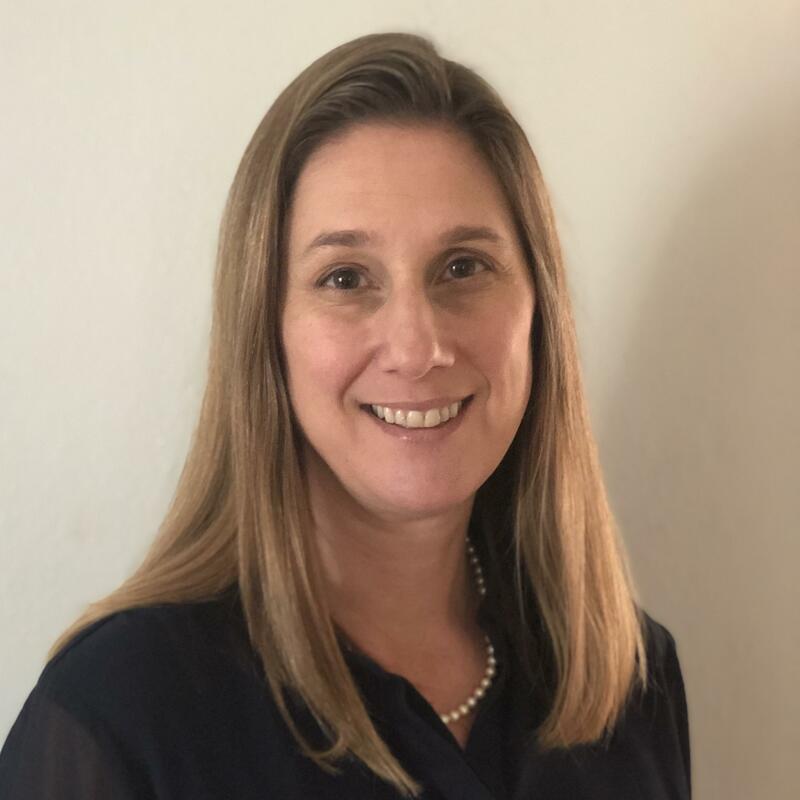 Beth has received multiple awards for the use of emerging technologies in the classroom including the NJEdge Leadership & Innovation Award, the Nobel Educator of Distinction award, Campus Technology Leadership Award, and the Faculty of the Future Award. Beth's work with virtual reality has been featured in the Chronicle of Higher Education, USA Today, Wired magazine, and AOL. Beth's current work features Artificial Intelligence, Virtual Reality, Augmented Reality, Mixed Reality, Gaming, Gamification, Internet of Things, Voice Technologies, Drones, Ethical Hacking & The Dark Web. Fei-Yue Wang received his Ph.D. in Computer and Systems Engineering from Rensselaer Polytechnic Institute, Troy, New York in 1990. He joined the University of Arizona in 1990 and became a Professor and Director of the Robotics and Automation Lab (RAL) and Program in Advanced Research for Complex Systems (PARCS). In 1999, he founded the Intelligent Control and Systems Engineering Center at the Institute of Automation, Chinese Academy of Sciences (CAS), Beijing, China, under the support of the Outstanding Overseas Chinese Talents Program from the State Planning Council and “100Talent Program” from CAS, and in 2002, was appointed as the Director of the Key Lab of Complex Systems and Intelligence Science, CAS. From 2006 to 2010, he was Vice President for Research, Education, and Academic Exchanges at the Institute of Automation, CAS. In 2011, he became the State Specially Appointed Expert and the Director of the State Key Laboratory for Management and Control of Complex Systems. 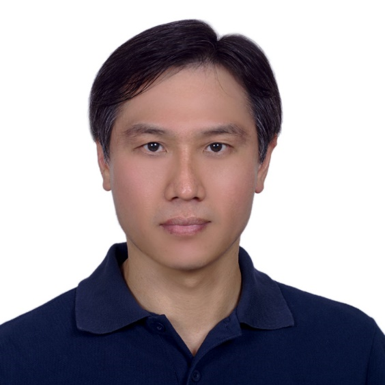 Dr. Wang’s current research focuses on methods and applications for parallel systems, social computing, parallel intelligence and knowledge automation. 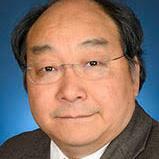 Dr. Wang has been elected as Fellow of IEEE, INCOSE, IFAC, ASME, and AAAS. In 2007, he received the National Prize in Natural Sciences of China and was awarded the Outstanding Scientist by ACM for his research contributions in intelligent control and social computing. He received IEEE ITS Outstanding Application and Research Awards in 2009, 2011 and 2015, and IEEE SMC Norbert Wiener Award in 2014. Neil Heffernan taught middle school math and science in the Teach for America program before pursuing a CS Ph.D. at CMU. After being diagnosed with brain cancer, Neil and his spouse Cristina, were motivated to make a platform that is useful to teachers and to give it away for free. They use the platform to conduct research testing different educational interventions. Their ASSISTments platform is currently used by 50,000 students. Neil has written 60+ papers on learning analytics and over two dozen papers reporting the results of a randomized controlled experiment testing different ideas to improve student learning. Rodney Nielsen received a dual Ph.D. in Computer Science and Cognitive Science from the University of Colorado, Boulder in 2008. He is currently an Associate Professor of Computer Science and Engineering at UNT, where he directs the Human Intelligence and Language Technologies (HILT) Lab with Eduardo Blanco. Prior to coming to UNT, Dr. Nielsen was an Assistant Professor Adjunct of Computer Science at CU Boulder, a Research Scientist in CU's Center for Computational Language and Education Research, and a Research Scientist with Boulder Language Technologies. 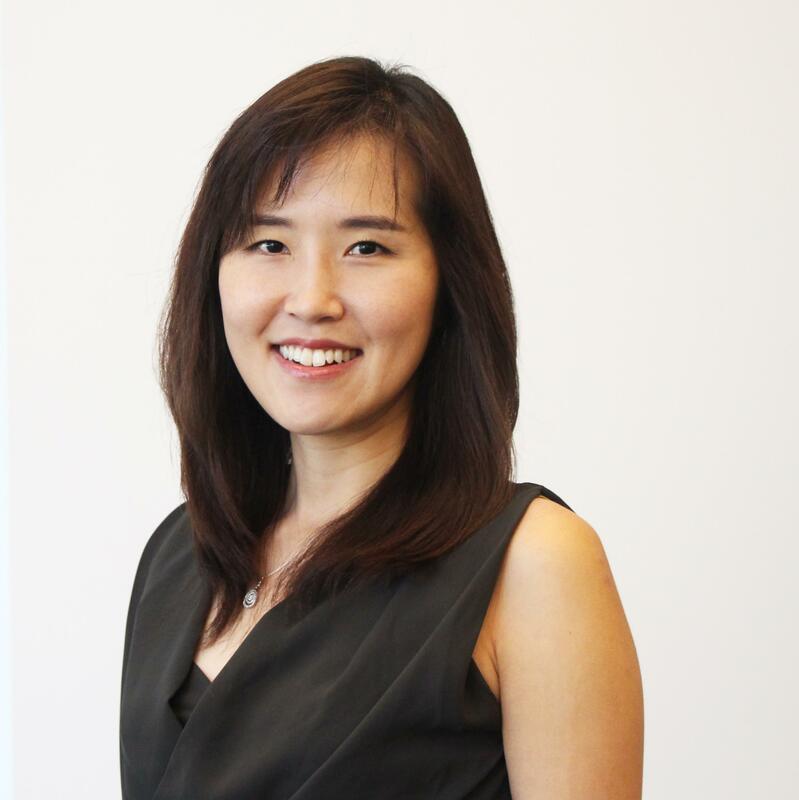 Sun Joo (Grace) Ahn (Ph.D., Stanford University) is an associate professor at the Grady College of Journalism and Mass Communication, University of Georgia, and the founding director of the Games and Virtual Environments Lab. 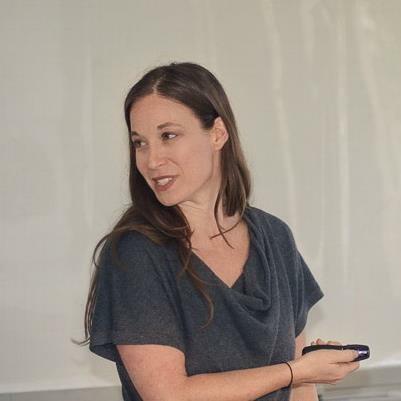 Her main program of research investigates how interactive digital media such as virtual and augmented reality transform traditional rules of communication and social interactions, looking at how virtual experiences shape the way the way that people think, feel, and behave in the physical world. Her work is supported by the National Science Foundation and National Institutes of Health and is published in numerous top-tier outlets. She is the recipient of the Mary Alice Shaver Promising Professor Award from the American Academy of Advertising and the inaugural Early Career Award from the National Communication Association's Health Communication Division. Joseph South, chief learning officer, is a national educational technology leader focused on evidence-based learning transformation. He formerly served as director of the Office of Educational Technology at the U.S. Department of Education. In this role he advised the Secretary of Education, developed national educational technology policy, formed public-private partnerships to assist state and local education leaders in transitioning to digital learning, helped school districts expand the use of openly licensed educational resources (OERs), and collaborated to nurture a robust ecosystem of edtech entrepreneurs and innovators. Dr. Beth Karlin founded the See Change Institute to take the world’s leading academic research “to the streets” and help good people do good better. 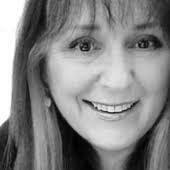 She also founded the Transformational Media Lab at UC Irvine and is a Research Fellow at the University of Southern California’s Norman Lear Center, which studies the impact of entertainment on society. Beth’s projects investigate a wide range of topics, including science communication, food security, climate change, and virtual reality. 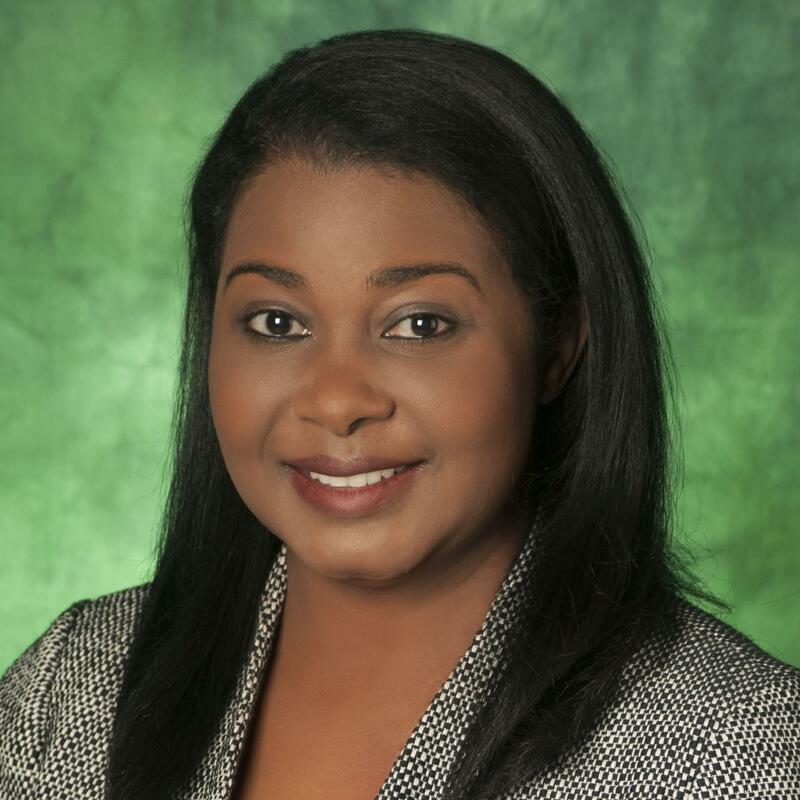 She earned her Bachelors degree in Psychology, Masters in Public Policy and Administration, and Ph.D. in Social Ecology with an emphasis in Environmental Psychology. Dr. Parsons is Director of the NetDragon Digital Research Centre and the Computational Neuropsychology and Simulation (CNS) Lab at UNT. He is a Full Professor (tenured) and Clinical Neuropsychologist. In addition to his patents for eHarmony.com's Matching System (U.S. Patent Nos. 2004/6735568; 2014/0180942 A1), he has invented and validated several virtual environments. He has published five books and he has over 200 publications in journals and book chapters. His contributions to neuropsychology were recognized when he received the 2013 National Academy of Neuropsychology Early Career Achievement award. In 2014, he was awarded Fellow status in the National Academy of Neuropsychology. Working with emerging technologies Ruth creates resonant connections between art and science. Her work envisions a future in which art-science integration opens new portals of imagination, invention, knowledge, and communication across cultures to create solutions for our most pressing global problems. Bridging high-dimensional data and metadata, information visualization and sonificaiton, immersive environments, and social and mobile participatory media with domains such as urban ecology, neuroscience, genomics, astronomy, and digital remix culture, she explores avenues for achieving works with multiple entry points that can exist concurrently as aesthetic experiences, artistic practice or cultural interventions and serve as the basis for artistically-impelled scientific inquiry and tools. 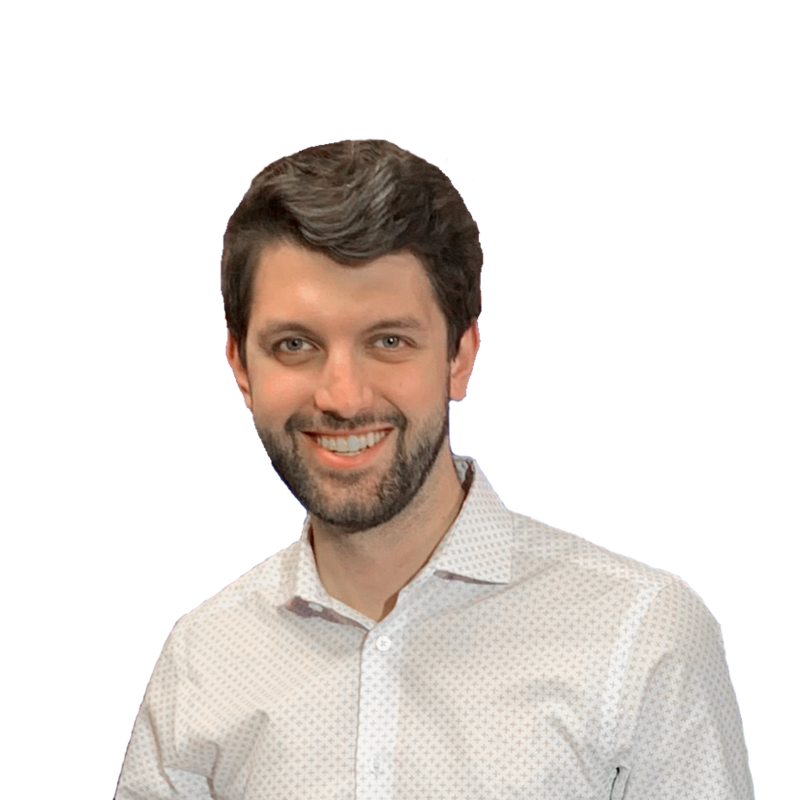 Alfred is VP of Research and Data Science at McGraw-Hill Education (MHE). He leads learning science research and data science at MHE with the goal of generating of next-generation products and solutions in education. He has held leadership roles in academia and industry, including serving as Dir. of Innovation and Analytics Strategy at Desire2Learn and CIO at MIT’s Sloan School of Management. At MIT he was the recipient of an MIT Excellence Award for innovative solutions. Dr. Xiangen Hu is a professor in the Department of Psychology, Department of Electrical and Computer Engineering and Computer Science Department, and the Institute for Intelligent Systems (IIS) at the UofM. He is also professor and Dean of the School of Psychology at Central China Normal University (CCNU). Dr. Hu received his MS in applied mathematics from Huazhong University of Science and Technology, MA in social sciences and Ph.D. in Cognitive Sciences from the University of California, Irvine. 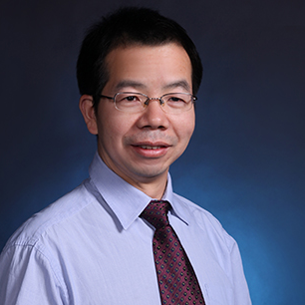 Dr. Hu is the Director of Advanced Distributed Learning (ADL) Partnership Laboratory at the UofM. Dr. Nian-Shing Chen is Chair Professor in the Department of Applied Foreign Languages at the National Yunlin University of Science and Technology, Taiwan. He has published over 400 academic papers in the international referred journals, conferences and book chapters. One of his papers published in Innovations in Education and Teaching International was awarded as the top cited article in 2010. He is the author of three books with one textbook entitled “e-Learning Theory & Practice”. Prof. Chen has received the national outstanding research awards for three times from the National Science Council in 2008, 2011-2013 and the Ministry of Science and Technology in 2015-2017. His current research interests include assessing e-Learning course performance; online synchronous teaching & learning; mobile & ubiquitous learning; gesture-based learning and educational robotics. 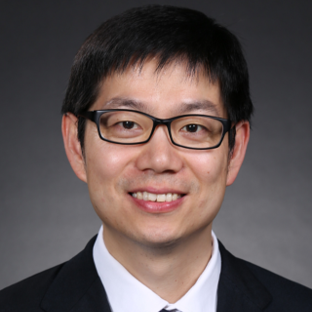 Prof. Chen is serving as editorial board members for many international journals and guest editors for special issues of international journals. He has also organized and chaired numerous international conferences and workshops in the area of advanced learning technologies. Professor Chen is a golden core member of IEEE, ACM and the former Chair of the IEEE Technical Committee on Learning Technology (http://lttf.ieee.org/). Aleshia Hayes is an educator, researcher, and developer focusing on emerging technologies (Virtual Reality, Mixed Reality, IoT), Gaming, and Gamification. Aleshia is passionate about implementing, developing, and measuring effective, engaging, and usable educational technologies that simultaneously encourage critical thinking and respect of diverse learners and learning styles. She has worked on large-scale educational projects sponsored by NIH, NSF, Department of Defense, and The Bill & Melinda Gates Foundation. 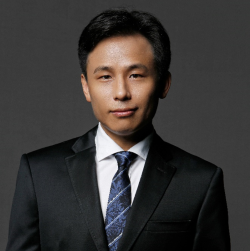 Zhu Chunna, founder and CEO of Micro-language, Vice Chairman of the Board of Directors of the Training Committee of the China National Education Association, Executive Vice President of the Shenzhen Education Equipment Industry Association, Deputy Secretary-General of the Black Horse Education Branch, and Partner of Chun Guangli. 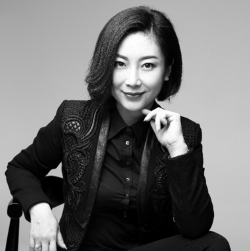 Ms. Zhu Chunna founded Le Xuetong Education Technology Co., Ltd. and the “Micro-Language” brand in Beijing (2012), the executive team consists of top domestic teaching and research experts and senior education industry practitioners. Micro-language has developed the most fully customized as well as fully comprehensive courseware and lesson plans for the national curriculum standard textbooks in the industry, and has launched a bilingual English-language live-study platform for public schools and training institutions. Micro-language has become the leader of the domestic English curriculum standard, in addition to being a dual-teaching provider of online-live courses. 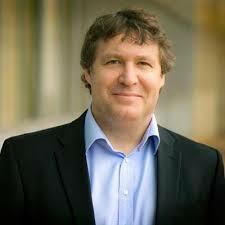 George Siemens researches, technology, networks, analytics, and openness in education. 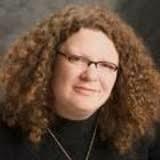 Dr. Siemens is Professor of Psychology at University of Texas, Arlington. 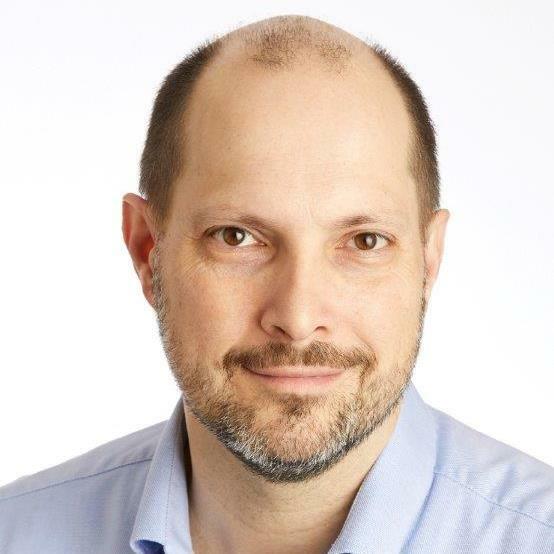 He co-leads the development of the Center for Change and Complexity in Learning (C3L) at University of South Australia. He has delivered keynote addresses in more than 35 countries on the influence of technology and media on education, organizations, and society. Charlie Hughes is Pegasus Professor of Computer Science at the University of Central Florida. He is also a Professor of Digital Media and co-director of the university's Synthetic Reality Laboratory (SREAL). He started his journey in computer science as a programmer in 1962. He taught at Penn State and the University of Tennessee before coming to UCF in 1980. His research interests are in virtual reality and its applications to interpersonal skills development, teacher preparation, physician training, de-escalation skills, and protective strategies for self and others. He has advised 25 students to completion of their Ph.D.’s. Su Cai is an Associate Professor at Faculty of Education in Beijing Normal University, China, Director of VR/AR+Education Lab, Vice Director of the Joint Lab for Mobile Learning of Ministry of Education-China Mobile Communications Corporation, Visiting Scholar of Columbia University, Member of 3D Education and Equipment Professional Committee of China Simulation Federation, one of Young Talents in Beijing Colleges and Universities. 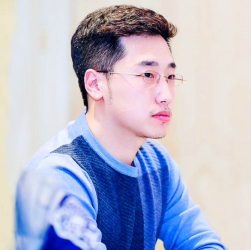 He obtains his Bachelor and PhD degrees on computer science from Beihang University and had worked at the State Key Laboratory of Virtual Reality Technology and System for seven years. His research interests include Virtual Reality/Augmented Reality (VR/AR) in Education, STEM Education. 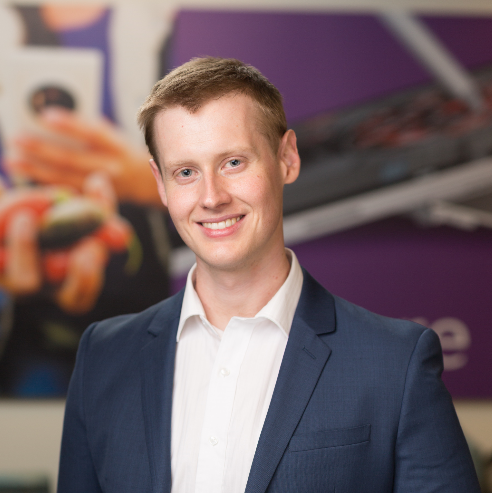 Dominic Williamson is a Product Manager with Microsoft Teams for Education. Based in Seattle, Dominic’s focus is to develop a hub for collaboration, learning and communication. Prior to moving to the United States he worked in the Microsoft Australia Education Team with educators in organizations ranging in size up to 75,000 faculty and students. As a university student, Dominic started a company following the success of a free fitness app he developed which received over 1.5million downloads worldwide. 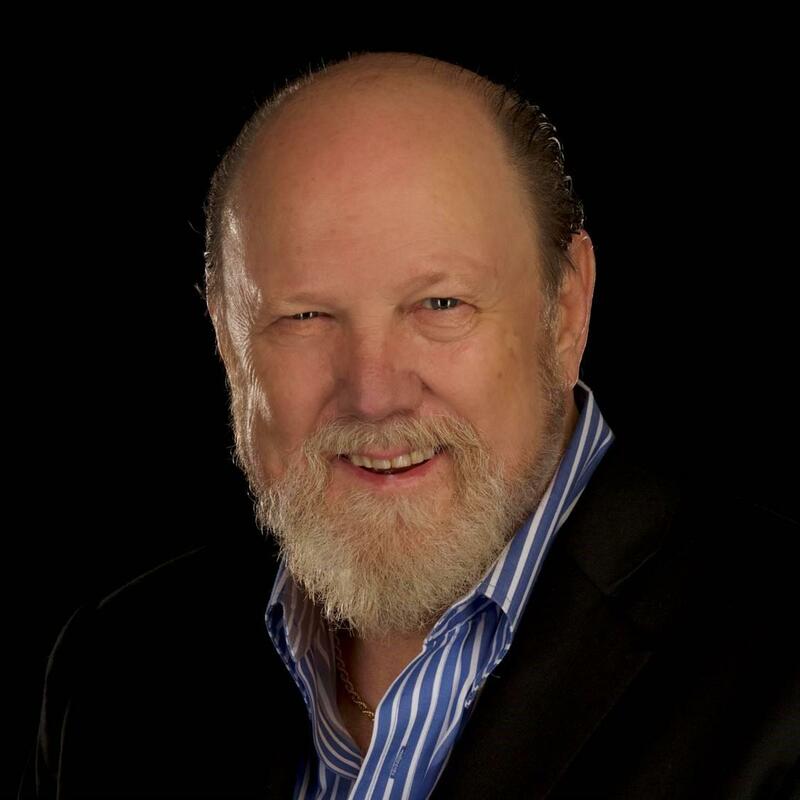 John Rome is the Deputy CIO and Voice Evangelist at Arizona State University (ASU). John is an experienced Information Technology (IT) leader, educator and consultant. 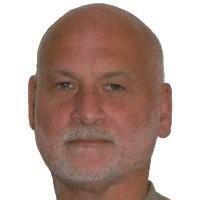 He is a pioneer of data warehousing/analytics in higher education and is an instructor in the ASU W.P. Carey School of Business. 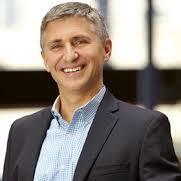 His areas of expertise include IT strategy, analytics/business intelligence, big data and cloud technology. His special interests include student mentoring, learning analytics and voice technology. He holds a Bachelor of Arts degree from Clarke University (Iowa) and a MBA from ASU and is a two-time recipient of ASU’s President’s Award for Innovation. 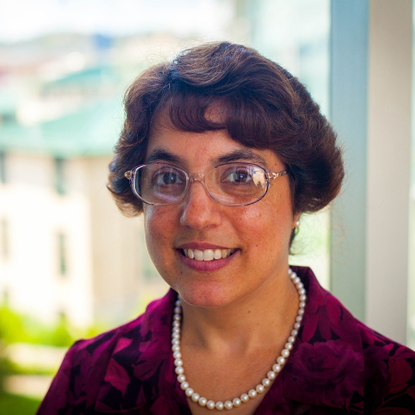 Dr. Carolyn Rosé is a Professor of Language Technologies and Human-Computer Interaction in the School of Computer Science at Carnegie Mellon University. Her research program is focused on better understanding the social and pragmatic nature of conversation, and using this understanding to build computational systems that can improve the efficacy of conversation between people, and between people and computers. In order to pursue these goals, she invokes approaches from computational discourse analysis and text mining, conversational agents, and computer supported collaborative learning. Her research group’s highly interdisciplinary work, published in over 220 peer reviewed publications, is represented in the top venues in 5 fields: namely, Language Technologies, Learning Sciences, Cognitive Science, Educational Technology, and Human-Computer Interaction, with awards in 3 of these fields. She serves as Past President and Inaugural Fellow of the International Society of the Learning Sciences, Senior member of IEEE, Founding Chair of the International Alliance to Advance Learning in the Digital Era, Executive Editor of the International Journal of Computer-Supported Collaborative Learning, and Associate Editor of the IEEE Transactions on Learning Technologies. 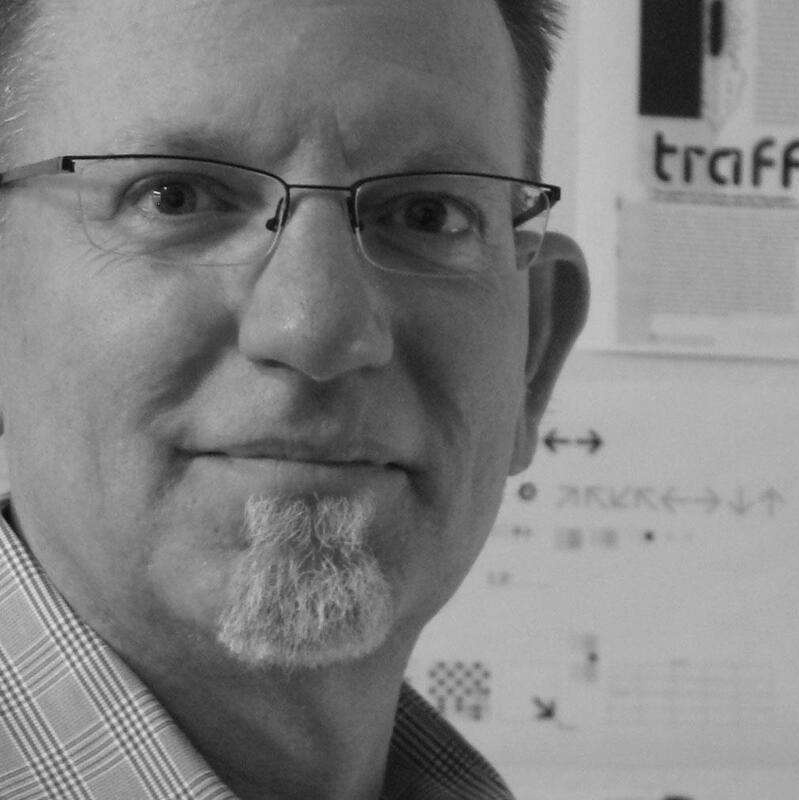 Brad Hokanson is a professor in Graphic Design at the University of Minnesota and serves as Associate Dean for Research and Outreach for the College of Design. He has taught an ongoing course on Creative Problem Solving at the University of Minnesota since 2000 and it remains the focus of his academic work. He has received multiple teaching awards at the University. He has a diverse academic record, including degrees in art [Carleton], architecture [Minnesota], urban design [Harvard], and received his Ph.D. in Instructional Technology from the University of Minnesota. He is a registered architect with a number of award winning projects, although no longer in active practice. His research focus is on the development of creativity. Within his courses, he has seen increases in measured creativity of 50-70%. He has published his research in a wide range of journals and he has presented the results at various conferences. He currently is researching the relationship between creativity and achievement in school children, comparing measured creativity with standardized achievement scores in approximately 2000 students in a suburban school district. 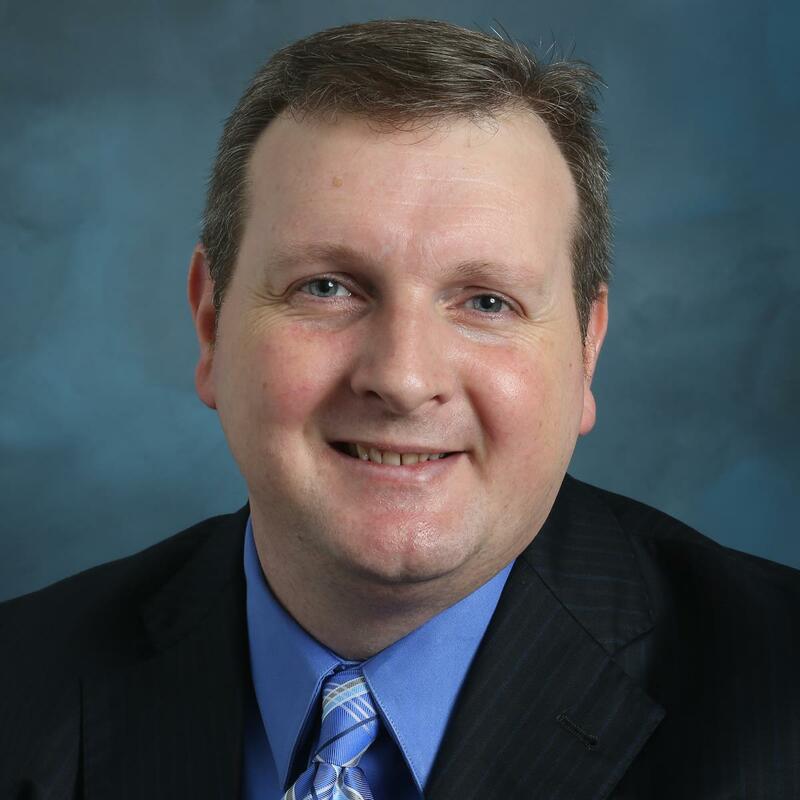 Dr. Trey Martindale is an Associate Professor and the Department Head of the Department of Instructional Systems and Workforce Development at Mississippi State University. His research efforts have been funded by entities such as the National Science Foundation, the U.S. Centers for Disease Control and Prevention, the U.S. Department of Education, the Institute of Education Sciences, IBM, Microsoft Corporation, the State of Tennessee, and the State of Florida. Dr. Martindale has contributed to the creation of three fully online masters degree programs at three universities, and a fully online doctoral program. 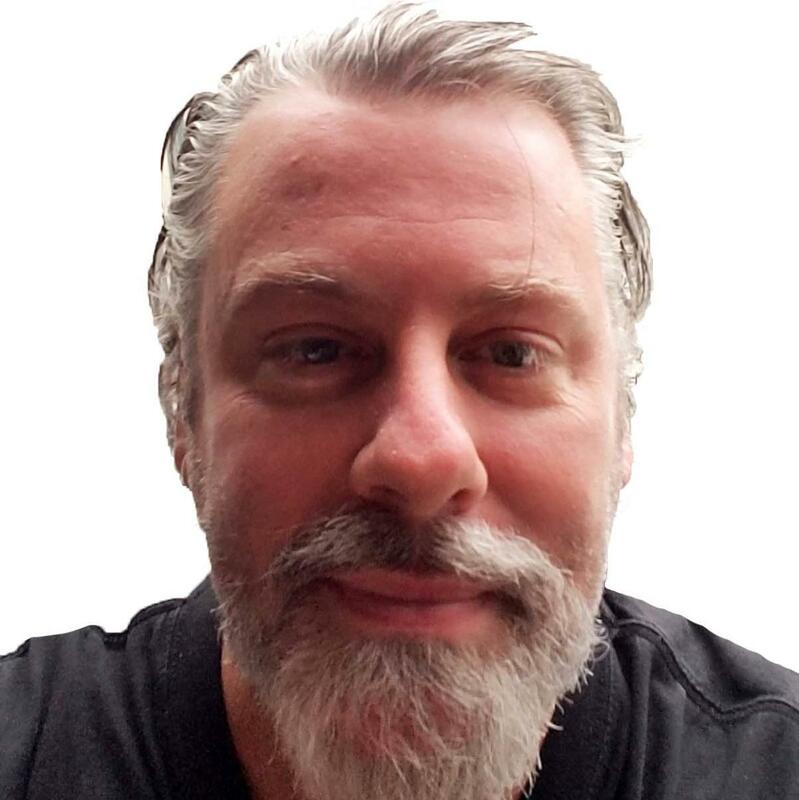 He has developed and taught dozens of online courses and has pioneered the effective pedagogical use of social software tools for enabling collaborative learning environments. 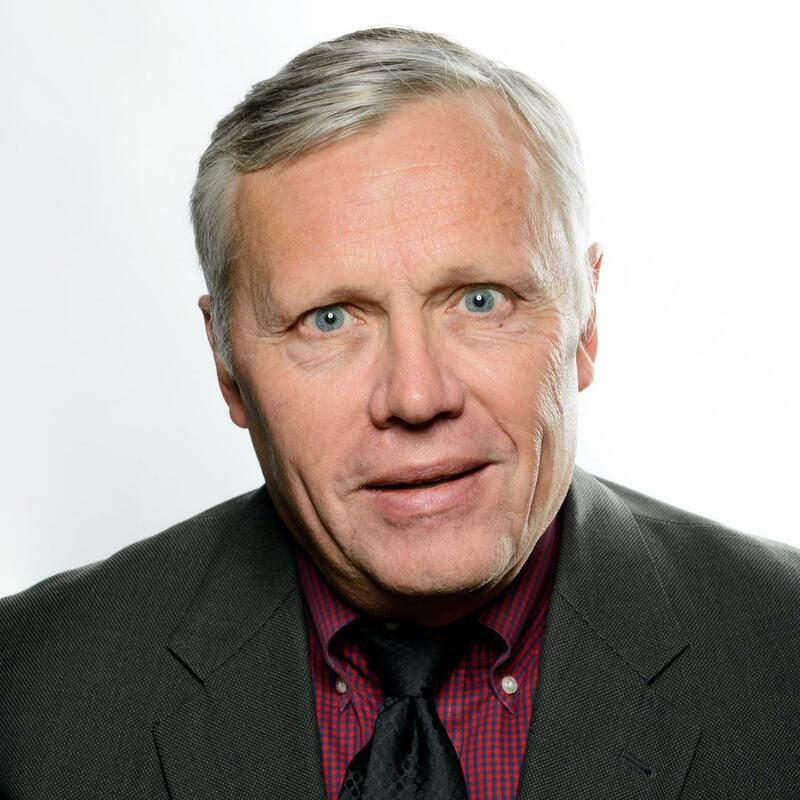 Dr. Eugene Kowch is the Chair of Education Leadership, Policy and Governance Department at the University of Calgary and he is the immediate past President of the Association of Educational Technology and Communication (AECT) and the Systems Thinking and Change Division. As the Chair of the American Education Research Association (AERA) Chaos and Complexity Theory interest group he also holds national awards for his research on leading complex, adaptable education systems. 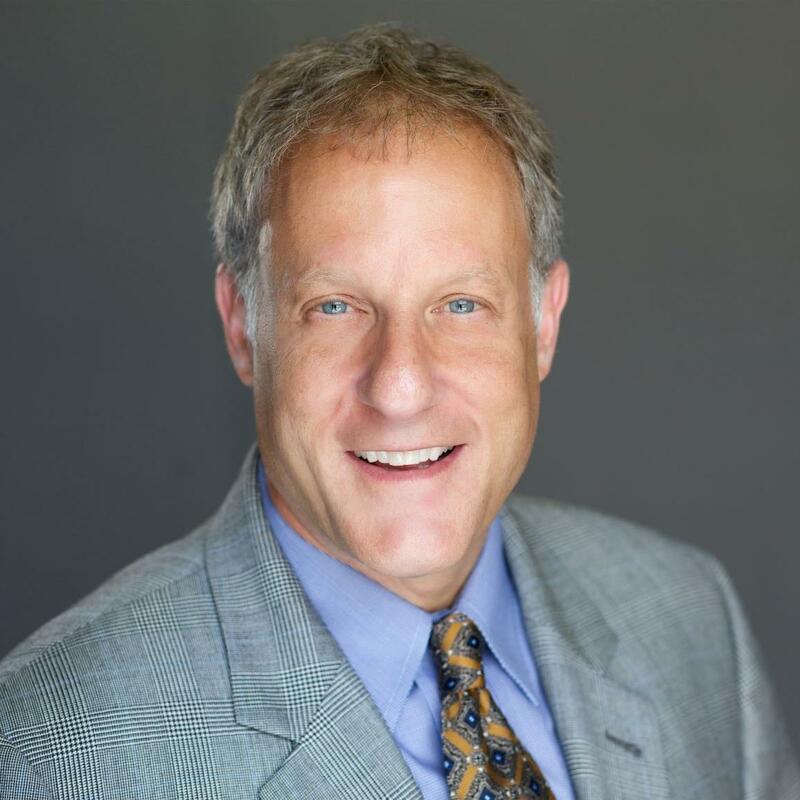 Dr. Kowch has delivered 18 recent keynote speeches and papers at conferences in North America, Asia and Europe focused on improving the readiness and preparation of teachers, leaders, and governments and education systems so that we can sustain emerging smart education and AI in the knowledge era. Michael M. Grant is Associate Professor at the University of South Carolina and coordinator for the Educational Technology programs. His research considers three areas: the design and development of technology-enhanced learning environments, graphic and instructional designs to support learning, and key learner characteristics. His most recent scholarship has focused on inquiry methods, such as project-based and problem-based learning, and mobile learning in K-12 and higher education within STEM disciplines. Dr. Grant earned his Ph.D. from The University of Georgia in Instructional Technology. He is the President-Elect for the Association for Educational Communications & Technology (AECT), planning the 2019 convention. 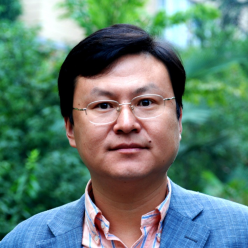 Yan Dong is Professor at Beijing Normal University and deputy dean of School of Education Technology. Professor Dong is member of Chinese association of AI and expert consultants for several academic communities. Her research interests include educational technology, science and technology education. She focused on STEM education、PBL 、TPACK and 21st century skills in particular. Yan received her PhD from psychology department of Beijing Normal University. 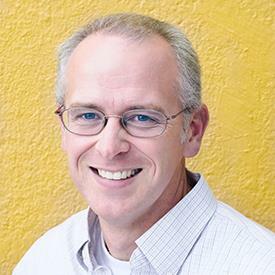 Dr. David Wiley is Chief Academic Officer of Lumen Learning. He is also currently the Education Fellow at Creative Commons, an Ashoka Fellow, and adjunct faculty in Brigham Young University's graduate program in Instructional Psychology and Technology (where he was previously a tenured Associate Professor). 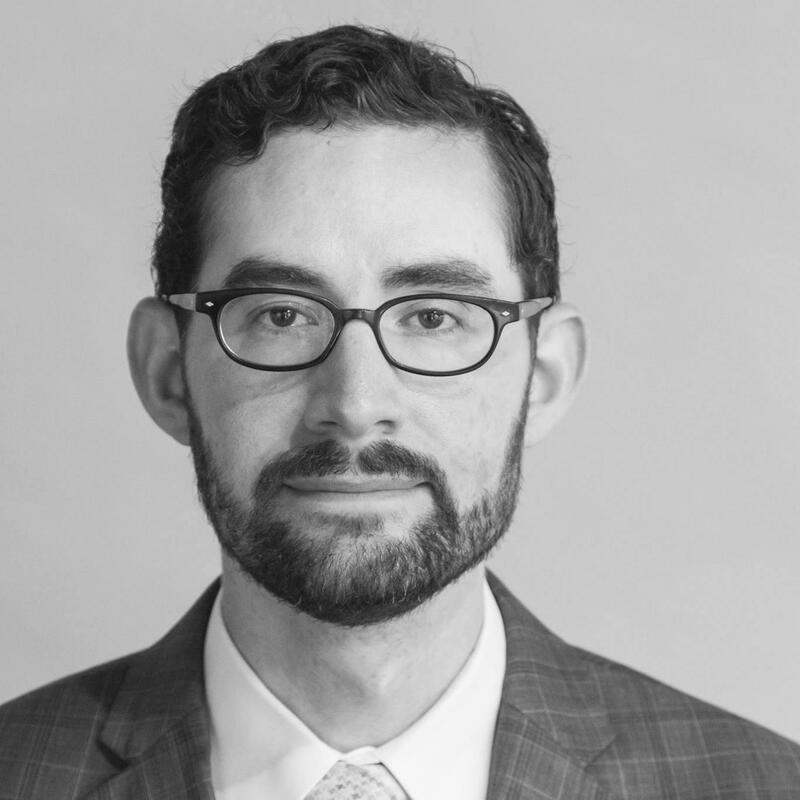 He is the recipient of a National Science Foundation CAREER grant, a Nonresident Fellowship in the Center for Internet and Society at Stanford Law School, and a Shuttleworth Fellowship. As a social entrepreneur, Dr. Wiley has founded or co-founded numerous entities including Lumen Learning and Mountain Heights Academy. Huang Tao is Professor at Central China Normal University. He is the director of Smart Learning Resource Department in National Engineering Research Center For E-Learning (NERCEL) and vice president of CCNU Institute of Education in Suzhou, taking charge of projects on learning big data in National Engineering Laboratory for Educational Big Data. His research includes: theory and technology of intelligent education, big data on education and learning analysis. 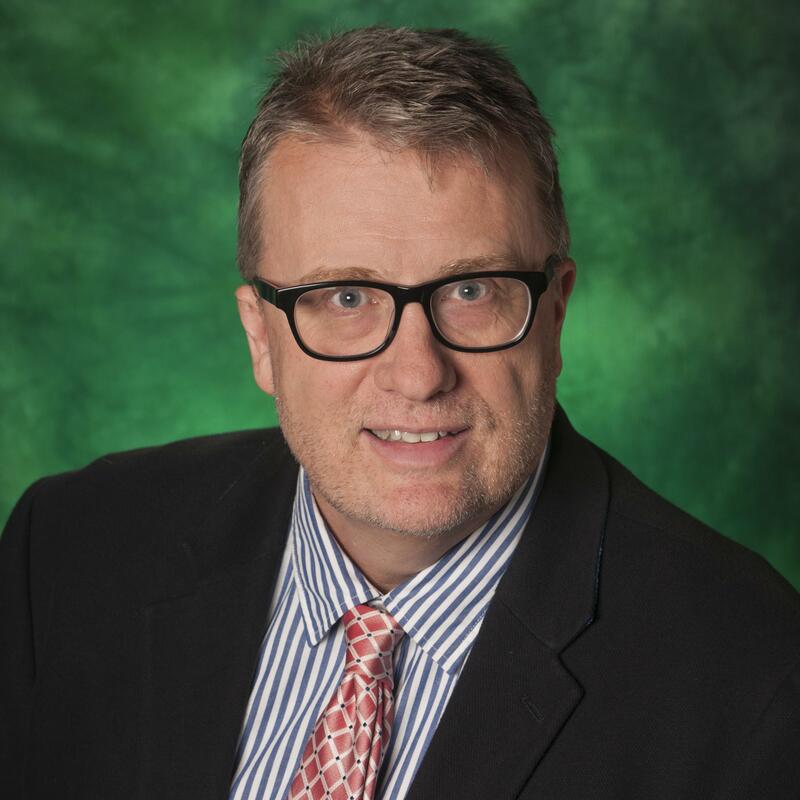 Dr. Mike Simmons holds his Ph.D. from the University of Texas at Arlington and is the Assistant Vice President of Academic Affairs at the University of North Texas, leading the Career Connect department and other academic and technology innovation projects. He was previously the Assistant Vice President for Lifelong Learning at Texas Woman’s University where he was responsible for online education, faculty support, and continuing education. award. Rama has also served in the private sector as Director of Business Development and Vice President for an Internet service provider. 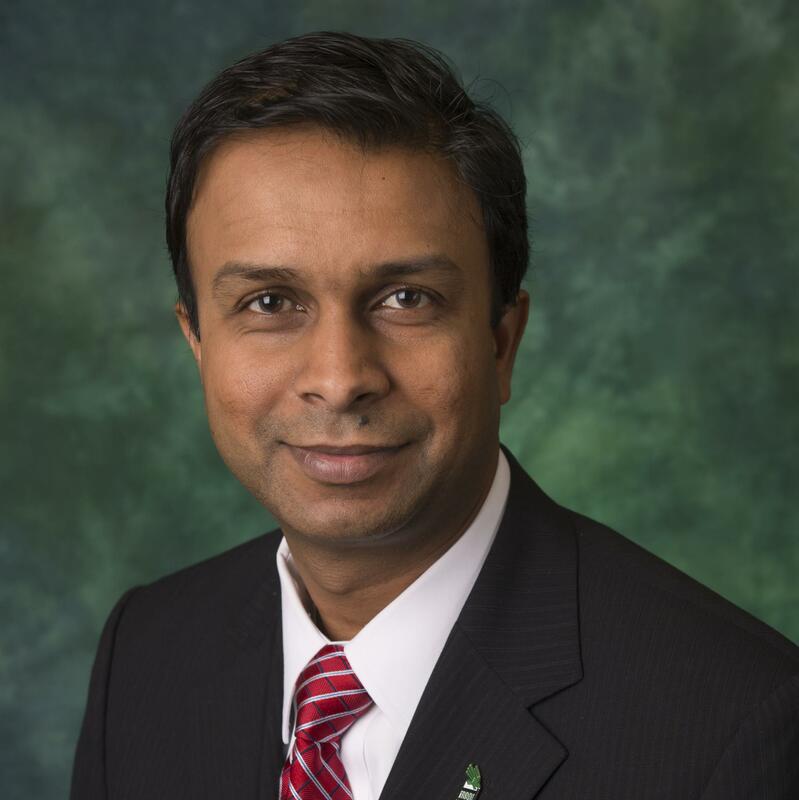 Rama has an electrical engineering degree from the University of Kentucky and MBA from Southern Methodist University. He has served on the boards of Bluegrass Tomorrow, Lexington Sister Cities and IN2LEX, an organization that helps innovators and entrepreneurs. He also served on the Lexington Mayor’s American Recovery and Reinvestment Act task force in the areas of E-Health and Technology. He was Vice Chairman of the Kentucky Internet Service Provider Association. He is currently on the board of Civillos. Dr. Spector, Professor at UNT, was previously Professor of Learning, Design and Technology at the University of Georgia, Associate Director of the Learning Systems Institute at Florida State University, Chair of Instructional Design, Development and Evaluation at Syracuse University, and Director of the Educational Information Science and Technology Research Program at the University of Bergen. He earned a Ph.D. from The University of Texas. 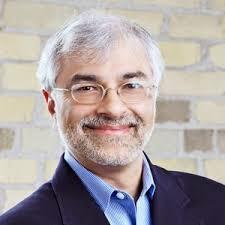 His research focuses on learning in complex domains, inquiry and critical thinking skills, and program evaluation. He was Executive Director of the International Board of Standards for Training, Performance and Instruction and a Past-president of the Association for Educational and Communications Technology. 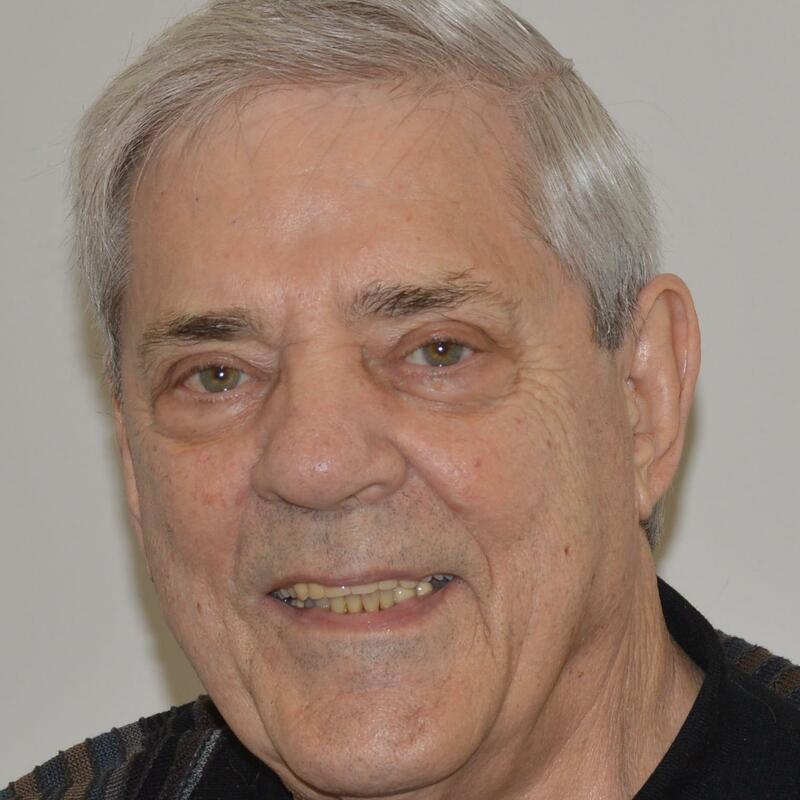 He is Editor Emeritus of Educational Technology Research & Development; he edited the Handbook of Research on Educational Communications and Technology and the SAGE Encyclopedia of Educational Technology. 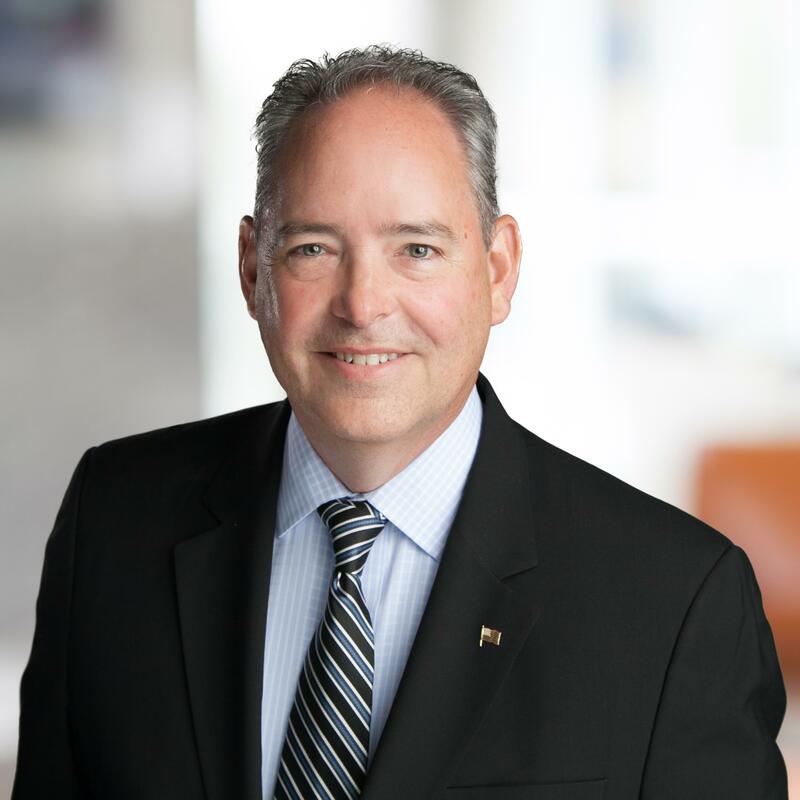 Scott Smith is a Dallas-Fort Worth based corporate strategy, business process, and enterprise technology transformation professional. 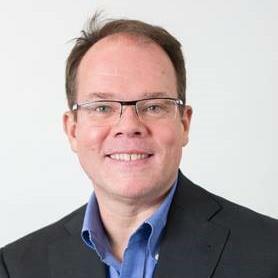 Scott has dedicated his career to providing strategic enterprise level consulting services to large global organizations. Scott has rendered these professional services as an entrepreneur/owner of his own firm for the past 12 years. 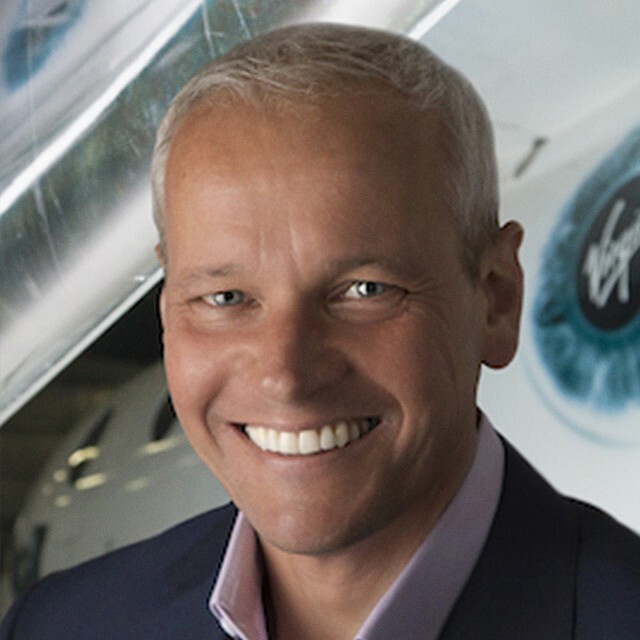 Prior, he was a Partner running the public sector business for Unisys Corporation in the southeastern United States and a co-founder and Managing Director for The Hackett Group - a publicly traded professional advisory services consultancy trading on NASDAQ. 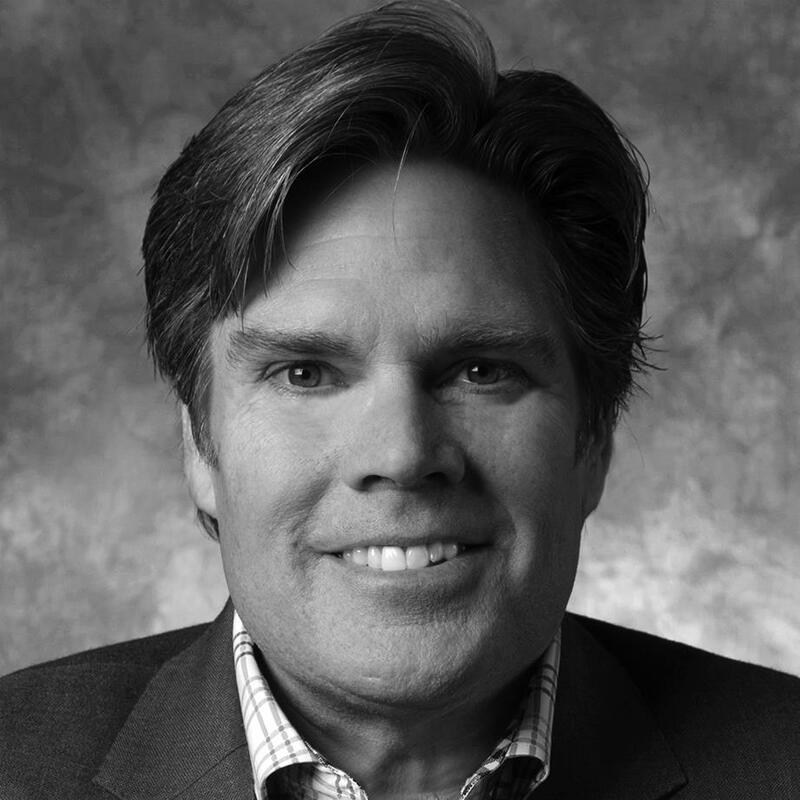 Scott also co-founded and functioned as the General Partner for a technology-based private equity firm out of Atlanta, Georgia in the early part of the 2000’s. Scott graduated from the Georgia Institute of Technology (Georgia Tech) with a Master of Science in Management degree. He is originally from Atlanta, Georgia and has young professional daughter who graduated with a degree in International Business & Marketing from the University of Texas at Austin. 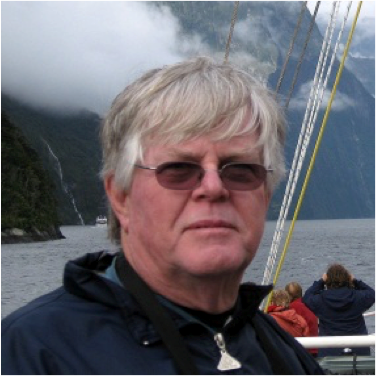 Dr. Larry Johnson, the founder and CEO of EdFutures.org, is a globally acknowledged expert on emerging technology and its impacts on society and education. He is the author of five books, seven chapters, and more than 175 papers and research reports on the topic, and speaks regularly on educational trends, creativity, leadership, and innovation. He has delivered nearly 225 keynote addresses to a long list of distinguished groups and organizations all over the world. As the CEO of the New Media Consortium (NMC), he founded the acclaimed Horizon Project and directed it for 15 years. He is widely considered a technology visionary, and was named in 2015 as one of the "Top 50 Influencers of Education in the Asia/Pacific Region." His work on trends and developments in educational technology has been used in nearly 200 countries. Roger Sherman studied the history of science at Yale (B.A. 1979), where he developed a particular interest in scientific instruments, apparatus, and experiments, especially for physics. Since then he has been at the National Museum of American History, a branch of the Smithsonian Institution, working first with the Physical Sciences collection and then with the Modern Physics collection, of which he has been curator since 2012. He has developed exhibits on a 19th-century itinerant science lecturer and on the National Institute of Standards and Technology. Among his interests are showing how, for centuries, scientific apparatus has helped researchers and students alike make sense of the natural world. Glen Bull is a professor of instructional technology in the Curry School of Education. He serves as co-director of the Center for Technology and Teacher Education. He developed one of the nation’s first statewide K-12 Internet systems, Virginia’s Public Education Network (PEN). He is a founding member and past president of the Society for Information Technology and Teacher Education (SITE), and a recipient of the Willis Award for “Outstanding Lifetime Achievement in Technology and Teacher Education.” He currently provides leadership for the National Technology Leadership Coalition, a consortium of national teacher educator associations and national educational technology associations. He serves as editor of Contemporary Issues in Technology and Teacher Education, a peer-reviewed journal jointly sponsored by five professional associations representing science education (ASTE), mathematics education (AMTE), English education (CEE), social studies (CUFA), and educational technology (SITE). 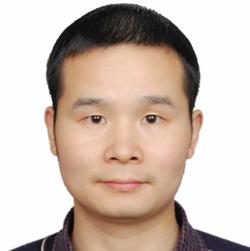 Professor Yonghe Zheng joined Beijing Normal University in April, 2018. Since then, Professor Zheng leads several national research projects and focuses on promoting science education, AI in education and interdisciplinary research in education fields. Before, Yonghe was the deputy director of the Planning Bureau, and then, the director of the Science Policy Bureau of NSFC. 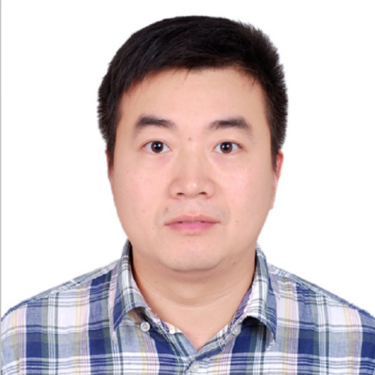 Recently, Professor Zheng contributed to the establishment of the branch of "educational information science and technology" in NSFC annual funding schemes. 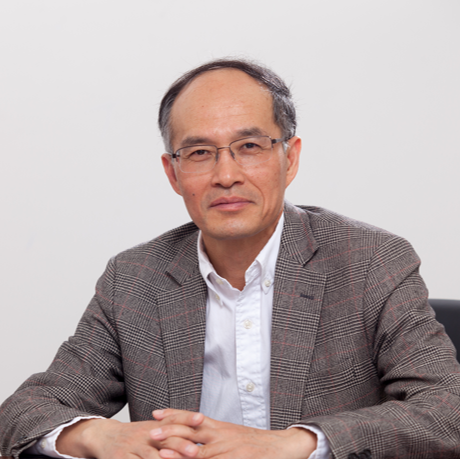 Professor Zheng has been engaged in project management of fundamental research and scientific and technological policy research for a long time. He has conducted in-depth researches on the development strategy, funding and management policy of basic research, and evaluation of scientific and technological programs of NSFC. 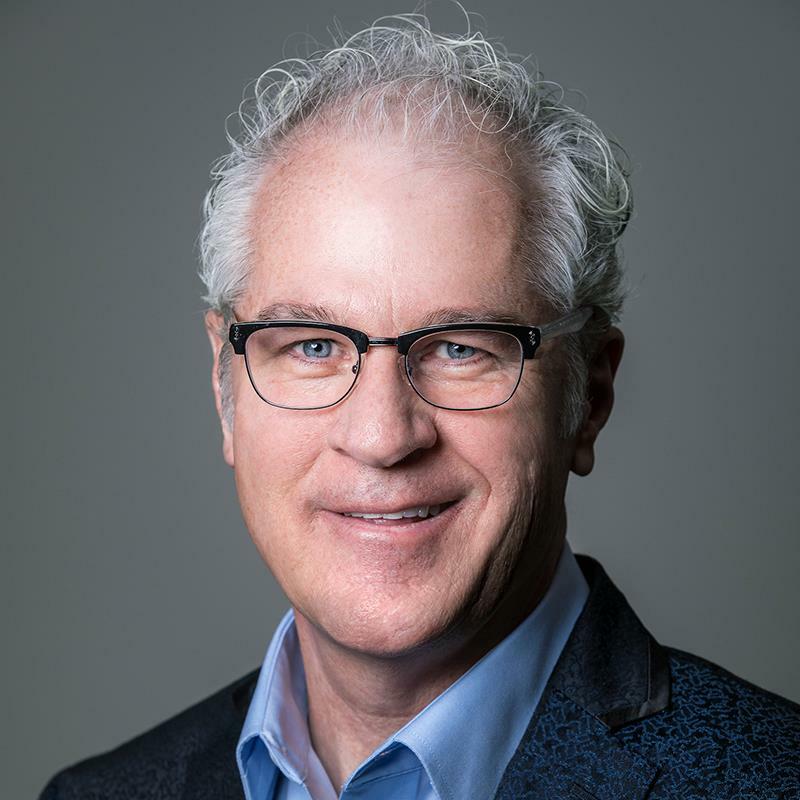 Breck DeWitt is the Higher Education CTO and Strategy Team lead for Dell Technologies in North America. 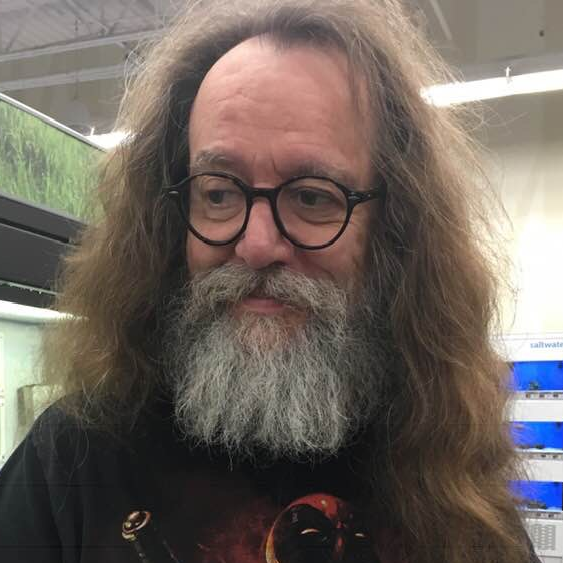 His 40 years’ experience and commitment to education includes DOE IT management, software development, teaching of programming and data base design and, K12 STEM projects. 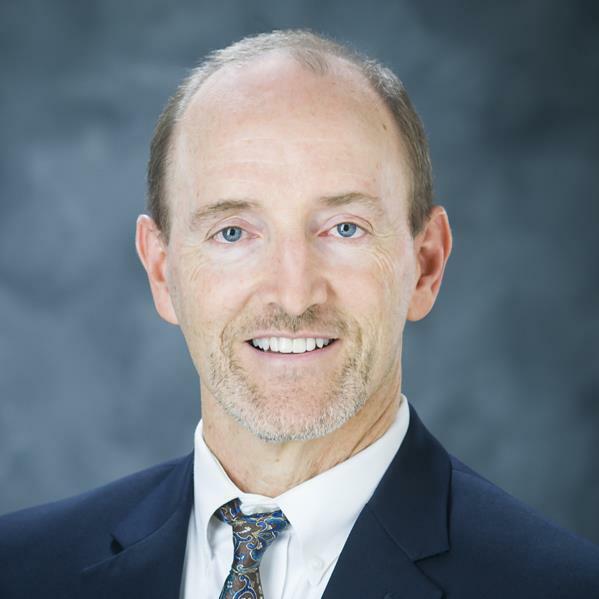 He has served as chair of multiple national industry Ed Tech committees such as TechAmerica, ITAPS, and the Education Data Systems working group for the REAL Commission. 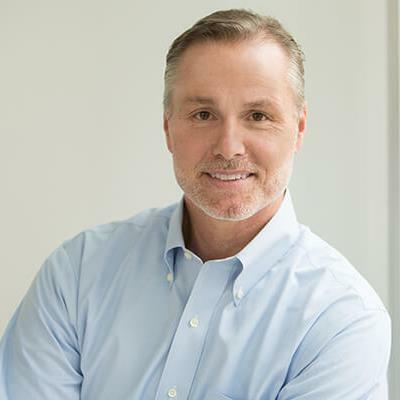 Breck, and his team of mostly former university C-level executives, is responsible for guiding the focus of infrastructure strategies, special client solutions, resources and relationships with higher education customers and partners. Dr. Lin Lin’s research looks into interactions between mind, brain, and technology for teaching and learning. Lin has published four co-edited books and nearly 80 refereed journal articles and book chapters in addition to numerous international and national presentations. Lin serves as director for Texas Center for Educational Technology and co-director for the Joint-Lab on Big Data, Little Devices, and Life-long Learning. Lin has played leadership roles in professional organizations such as AECT and AERA. 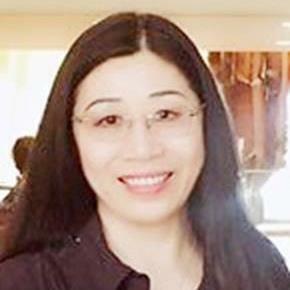 Lin is the Editor-in-chief for the Educational Technology Research and Development (Development Section) journal (http://www.springer.com/11423), a bi-monthly publication of AECT and Springer. Karen R. Johnson, PhD, is an Assistant Professor in the Department of Learning Technologies at the University of North Texas. She publishes research on various aspects of human resource development, organization development and factors that influence learning and the outcomes of learning on performance. Her research is conducted both locally and internationally in business and industry contexts as well as academic settings. Her most current research interest focuses on the intersection of Virtual Reality meditation/training and learner engagement. Ian Parberry is a Full Professor in the Department of Computer Science & Engineering and Director of the Laboratory for Recreational Computing at the University of North Texas. In 2015 he was named an ACM Distinguished Scientist. Ian Parberry has been a pioneer of academic game development education and research since 1993. He is author or coauthor of over 100 academic publications. His h-index is 26 and his i10-index is 58. 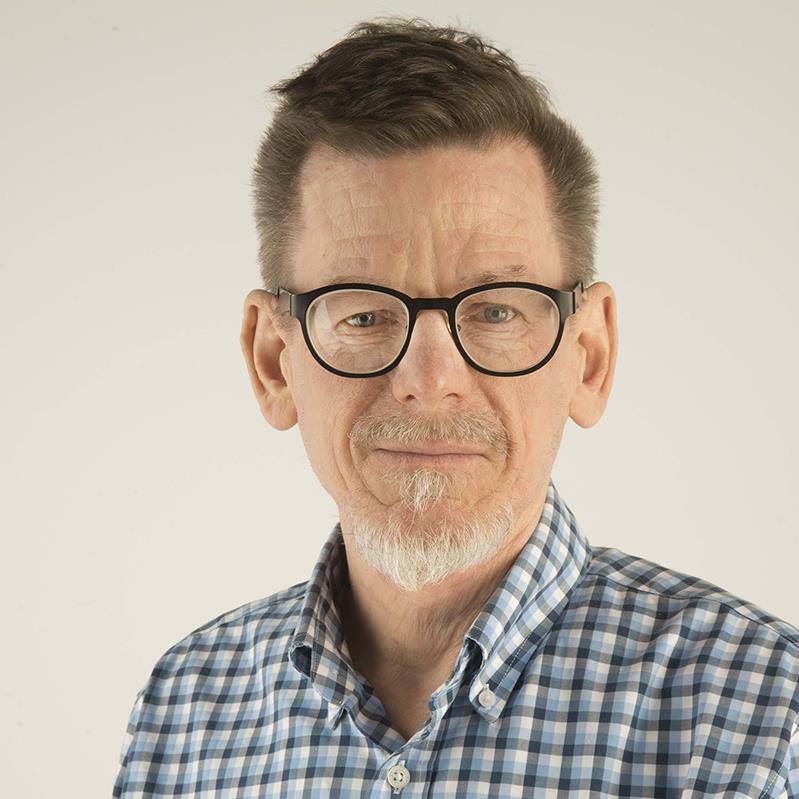 Peter B. Hyland has served as director of the CVAD Onstead Institute since its establishment in 2015, which has a mission to develop, support, and sustain innovative arts and design resources for K-12 education. Prior to this, he held various positions within the fields of visual and performing arts, creative writing, education, and fundraising at other prominent institutions, including the University of Houston (UH) Honors College, Menil Collection, Museum of Fine Arts Houston, and Houston Grand Opera. His creative and scholarly work has appeared in Visual Arts Research, New England Review, Ploughshares, and other publications. Michael R. Gibson is the graduate program coordinator for the MA program in Interaction Design operated by UNT’s Department of Design at UNT’s New College in Frisco, Texas, and the producer and co-editor of the AIGA’s scholarly journal “Dialectic” (https://quod.lib.umich.edu/d/dialectic). He is also the graduate program coordinator for UNT’s Design Research programs, which are also operated by UNT’s Department of Design. Along with fellow Department of Design Professors Keith Owens, Troy Abel and Clinton Carlson, he works to forge and sustain collaborative, user experience and interaction design partnerships between groups across UNT’s academic spectrum AND into the private sector that surrounds our facilities in Frisco, Denton and Dallas, Texas. 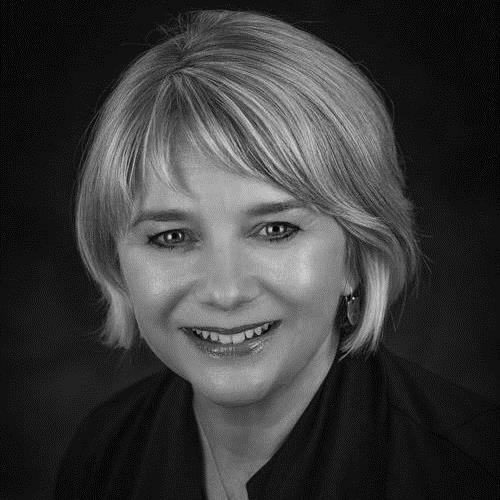 For the past 16 years Owens has taught Communication Design and Applied Design Research at the University of North Texas (UNT) College of Visual Arts and Design (CVAD). He is also the past Director of the UNT | CVAD Design Research Center (DRC). Currently, as faculty in the CVAD MA program in IXD design, Owens empowers students to become innovators and thought leaders. As CVAD faculty and consultant, Owens currently directs or is involved with academic and private initiatives focused on the ways design research and thinking can be harnessed to improve and innovate healthcare, business practices and secondary education. Academy of Dramatic Arts, and other institutions in service to those programs. Prior to her work at the University of Houston, Dr. deMontmollin taught theatre in Texas public schools for fifteen years. Dr. deMontmollin believes arts education is an essential component in the education of every child, and that the arts create bridges for our students between our schools and our greater local and global community. Dr. Komar is the Producer for the FIRSTinspires channel on Twitch. FIRST is a non-profit organization which sponsors international robotics competitions aimed at inspiring kids in grades K-12 to become interested in STEM. With a background in Electrical and Computer Engineering, Dr. Komar both designs hardware and software streaming solutions as well as develops and produces content for the interactive channel. From live robotics competitions to talk shows, coding tutorials to shop tours, Dr. Komar and the FIRSTinspires channel creates inspiring content for all ages. View the channel at Twitch.tv/FIRSTinspires. 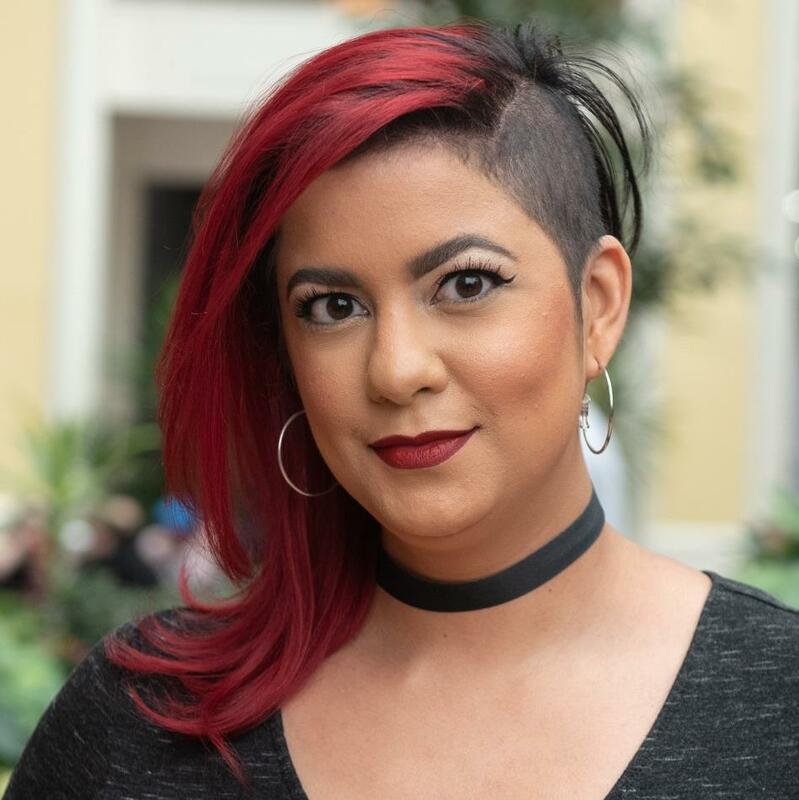 Dr. Elisa Meléndez holds her Ph.D. in Comparative Sociology from Florida International University where she focused her research on gender, rock music, and video games. She has served as an adjunct instructor of sociology, gender studies, and college readiness, and has written about gender and gaming topics for sites such as Polygon and Slate. In her spare time she mixes music entertainment and education with her livestreams on Twitch under her handle ElisaRockDoc. Shi Haochen, a continuous entrepreneur, has founded 12 companies since 2006, and has been in the education industry for nearly 10 years. He believes that education is powerful and therefore the country is empowered. Micro-Language Executive Vice President: Micro-Language is dual-teaching education provider for Chinese public, private and training schools. Our courses are based on the content of the National Chinese English language curriculum and they adopt English textbooks which are approved by the Ministry of Education. Micro-Language is a leader in the adaptation and integration of Native English teachers with Chinese students from all over the country. Hundreds of millions of primary and middle school students in China improve their English listening and speaking skills through online live classes, in the school or at home. 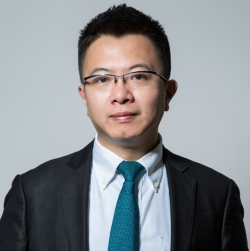 Mr. Emil Chen now serves as the Vice President of Elernity Education, NetDragon Websoft, in charge of the business development of education technology and emerging business of the group, including IM, VR, online educational tools, educational application distribution platforms, etc. He has promoted the cooperation between NetDragon and several multinational enterprises, such as Pearson, Disney, and Tokyo Shoseki. Mr. Chen currently is also the Associate Dean of Smart Learning Institute of Beijing Normal University, a national key and double first-class educational institution in China. Mr. Chen had enjoyed 17 years of experience in online education and training chain industry on both sides of Taiwan Straits. As COO of the famous education group, Ladder Education Group, and CEO of Beijing Magic English, Mr. Chen managed more than 100 English training schools and more than 900 cooperative teaching sites in China, serving hundreds of thousands of families. Professor Geping Liu joined Southwest University in 1989. Currently, he is the director of Engineering Research Center of Smart Education in Chongqing province and the academic leader in the major of Educational Technology in Southwest University. In recent years, he presided over 8 research projects which include the scientific research projects for ministry of education as well as the natural science foundation and other provincial-level scientific research projects in Chongqing province. He has published more than 40 papers in international academic conference and CSSCI journals such as e-Education Research and China Educational Technology. His areas of research include intelligent education environment, online education system, 3d virtual learning environment and education management informatization. One of his teaching achievements won the Chinese government second prize for teaching achievement in higher education, and two of his scientific research achievements won the provincial third prize for science and technology progress. Professor Geping Liu is also the chairman of Chongqing Association of Computer Security, vice president of China Higher Education Information Academy, chairman of Chongqing Association for Educational Technology in Higher Education, and the director of China Association for Educational Technology. 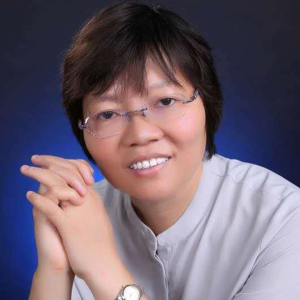 Dr. Yu Liang is an associate professor in the Department of Educational Technology at Southwest University. 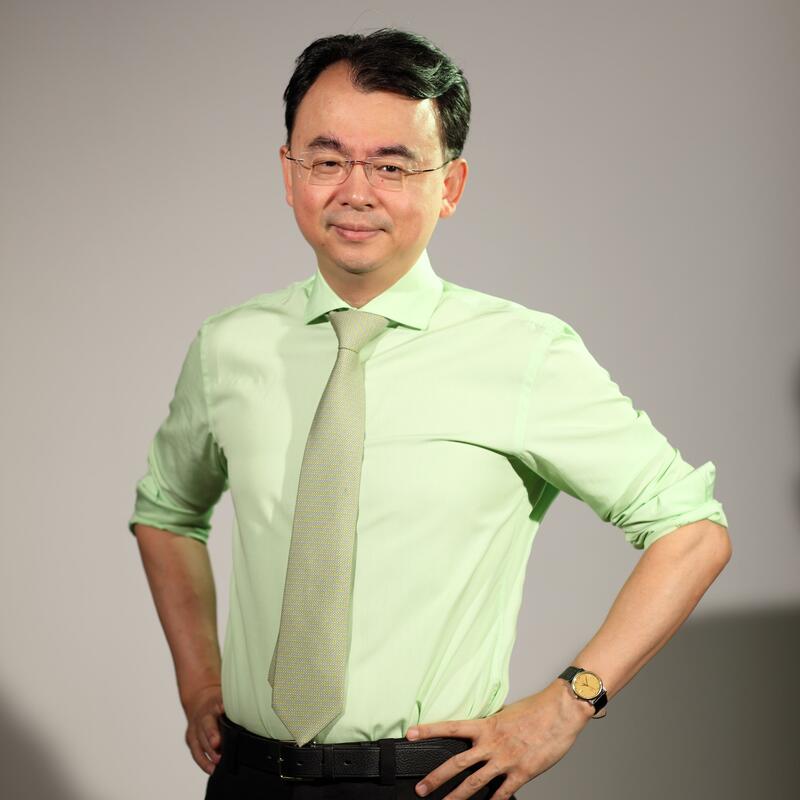 His research interests include online and distance education, computer supported collaborative learning, education informatization, and technology enhanced learning. From September 1998 to July 2002, Yu Liang received a bachelor's degree in education from Southwest Normal University. After three years, he obtained a master's degree in engineering from Southwest Normal University and stayed there as a teacher. From September 2008 to July 2011, he received his Ph.D. from Beijing Normal University. During the period of October 2004 to June 2005, he was appointed by Ministry of Education to teach at Yili Normal School in Xinjiang as a volunteer teacher. From November 2016 to November 2017, he visited the Department of Instructional Technology and Learning Science at Utah State University as a visiting scholar. He is now a member of the Education Informatization Experts of the Chongqing Education Commission, act as a Subject Examiner of Information Technology for Chongqing Elementary and Secondary School Teachers Qualification Examination. He also serves as a reviewer of many academic journals such as Journal of Distance Education, Journal of Southwest China Normal University, Asia Pacific Education Researcher etc. He has hosted more than 10 projects from Ministry of Education of China, Chongqing city, universities and enterprises. Also he has published more than 30 academic papers on journals of educational technology such as Journal of Educational Technology Development and Exchange, e-Education Research, China Educational Technology and Open Education Research. Mina Johnson works in two arenas: academia and industry. After graduating with a doctorate in cognitive psychology, she went on to work as a research scientist at the University of Wisconsin-Madison. She moved to Arizona State University in 2009. She has been the principal investigator, or co-PI, on more than $8 million in funding from various private and public grants, including National Institutes of Health, National Science Foundation and the Gates Foundation. 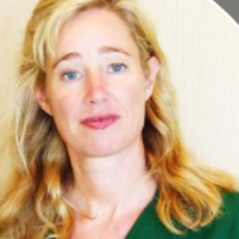 She recently returned to the U.S. after a tenured position at Radboud University in Nijmegen, Netherlands. 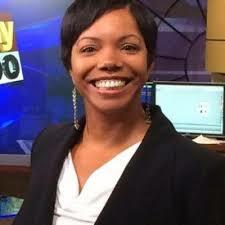 She publishes under the name Mina C. Johnson-Glenberg and her current research focuses on S.T.E.M. education, using games and mixed or virtual realities. Since 2006, D'Juan "DeejayKnight" Irvin has been active in the gaming industry in various roles. 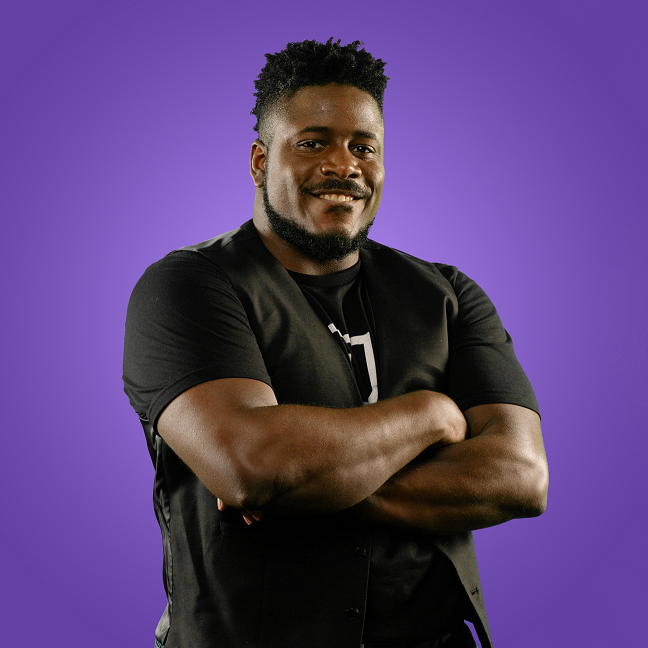 Currently, he is an entertainer on Twitch.tv as well as an event host, having worked with organizations including FIRST, a non-profit organization which sponsors international robotics competitions aimed at inspiring kids in grades K-12 to become interested in STEM. Whether hosting events meeting with FIRST teams showcasing their engineering feats or entertaining on Twitch, he uses his platform to promote positivity and the value of education. Luke Jankovic serves as the vice president of higher education at Emsi, where his purview includes products, innovation, and strategy. He supports and leads the higher education vision within Emsi: helping students achieve their education and career goals, and connecting employers with talent. He earned his bachelor’s in liberal arts from New Saint Andrews College in Moscow, Idaho, and currently serves on the New Saint Andrews board. He and his wife, Rachel, have seven children.